How do I… effectively access the funding options available to SMEs? 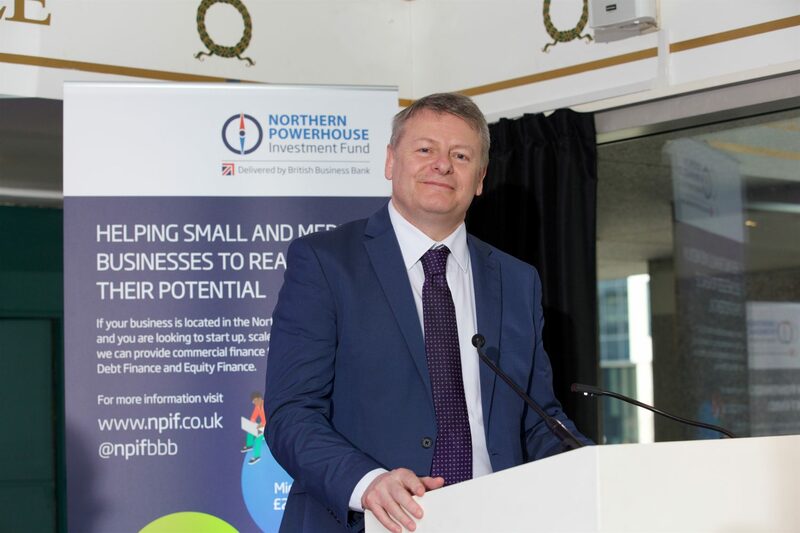 Grant Peggie, director at British Business Bank, the operators of the Northern Powerhouse Investment Fund, discusses the importance of access to finance for small businesses and the options available to help companies start up, scale up, and stay ahead. The provision of finance for small businesses is crucial to the prosperity of our Small Business community. These businesses account for millions of jobs in Britain, collectively contribute almost half of the total turnover of the private sector and could grow even more with the right financial support. Research suggests that while Northern businesses are becoming increasingly aware of their finance options, there still exists a need to drive awareness and understanding of the different types of finance available to support their ability to invest, grow and create jobs. For any entrepreneur, wherever they are on their business journey, knowing what finance options there are along the way is key to making successful progress. The Business Finance Guide, published in partnership with the ICAEW and 21 other business and finance organisations, sets out the range of options available and provides links to support across the Northern Powerhouse region. It stresses that at the earliest stage, businesses need long-term backing to fund themselves through to revenue and profit. Though the process can be seen as daunting for some, ensuring that each business is in contact with the right advisers who can offer the right guidance is key. When it comes to the options, entrepreneurs can look to equity investment as a way to finance many different stages of the business journey. This refers to the raising of capital through the sale of shares in a business. Whether starting out or experiencing a high-growth phase, equity is an important part of finance arrangements for businesses and usually brings broader expertise with it. Another option comes in the form of debt finance – a more long-term approach to achieving growth. Debt comes in a variety of different forms, from loans and overdrafts, finance secured on assets, and fixed-income debt securities. Each form of debt finance could be involved in growing a business, but it should be noted that companies should identity which form is most appropriate to the type of business, the stage of its development or its growth plans. Regardless of the route a business chooses to take in order to access finance, it is imperative to recognise that there is a depth of options available across the Northern Powerhouse. The British Business Bank’s £400m Northern Powerhouse Investment Fund (NPIF), launched in February in 2017, is a prime example of this. The initiative is a key part of the government’s Northern Powerhouse vision, with the objective of boosting economic growth in the North of England. Small Businesses are at the heart of raising productivity and employment, so ensuring that businesses have access to funding options capable of supporting them at any stage of their journey is crucial. Through this approach, we will ensure that as many businesses have the resource to start up, scale up, and stay ahead. Grant Peggie is Director at the British Business Bank, the UK’s state-owned economic development bank.